This has to be the find of the day. I was skeptical about the relevance of a full-fledged voice recognition application in a desktop OS like Ubuntu. But all that changed once I saw the video demonstration of the same. Not only does the app looks awesome, it is tightly integrated with Ubuntu's default notification system. If the app is going to be even half as good as shown in this demo video, that itself is a good enough reason to be excited about it. 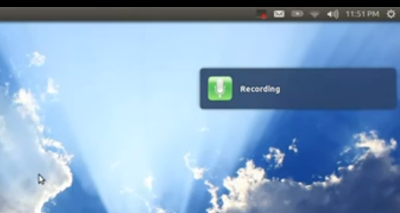 Following is a demonstration of the said voice recognition app for Ubuntu. According to its author, the app will use Google for its speech recognition and of course it will need an internet connection to work. Though he does not mention any specific dates for the application's release, it is supposedly going to arrive very soon.